It's the end of an era. If you are now or have ever been a fan of The Muppets, this is a very big deal. Kermit the Frog, easily the most recognizable of all the Muppets, has been voiced by Steve Whitmire ever since Jim Henson died in 1990. Now, after nearly three decades, Whitmire is leaving the role behind for undisclosed reasons. But as they say, the show must go on and Kermit will continue on with another voice actor taking over the role. As reported by Muppets fan site ToughPigs, Matt Vogel, who has been working with The Henson Company for a very long time, is going to replace Steve Whitmire as Kermit the Frog. Some fans had been speculating that this was going to be the case for several weeks, as Whitmire hasn't been voicing Statler in some recent promos and since Kermit hasn't been featured in the Muppet Thought of the Week videos. ToughPigs reached out to the Muppet Studio and was able to get confirmation, but they weren't able to confirm much beyond Whitmire's departure and his replacement. "Steve Whitmire is no longer working with the Muppets. Matt Vogel will be the new performer for Kermit the Frog. We will be seeing Matt's first footage as Kermit in a "Muppets Thought of the Week" video next week." 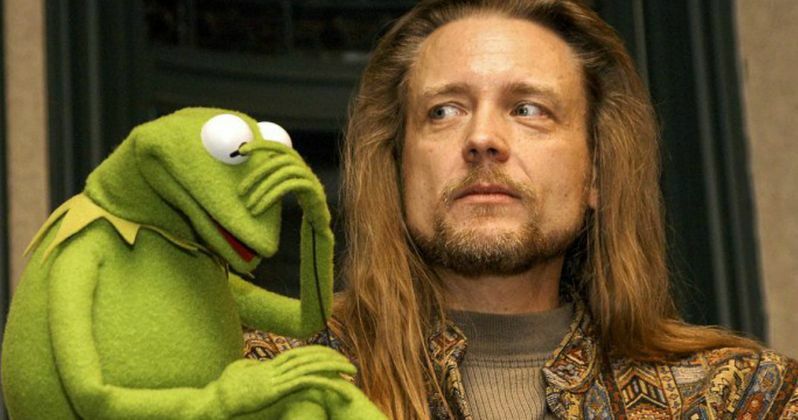 Steve Whitmire has only been voicing Kermit the Frog since 1990, but he has been with The Muppets since 1978. So he is truly a major fixture in the history of Jim Henson's beloved creations. He made his debut on The Muppet Show and has voiced characters like Rizzo the Rat and Beaker. Unfortunately, ToughPigs wasn't able to get any information about Whitmire's departure, but this does come as a surprise. Steve Whitmire is in his late 50s, but considering the demands of the job seem reasonable for someone his age, it doesn't seem like he aged out of it. We'll have to wait until someone from his camp, or Disney, releases some sort of statement on the matter. Matt Vogel, the man who is now tasked with taking up the mantle of Kermit the Frog, is no slouch. He has been a part of The Muppets since 1996, so he has more than two decades working with Henson's creations. Interestingly enough, he actually voiced Kermit's imposter in Constantine in the criminally underrated Muppets Most Wanted. So, that does make his casting somewhat ironic but also appropriate. In terms of major Muppets projects, it is hard to say when Matt Vogel will get a shot to really shine. Muppets Most Wanted came out in 2014 and there isn't any solid word in terms of when we can expect another feature. ABC tried to revive the Jim Henson characters on the small screen with a behind-the-scenes The Office style series, simply titled The Muppets, that only lasted one season. We will at least get a taste of what he can do when the next Muppets Thought of the Week drops. He has some very big shoes to fill. It's not easy being green.